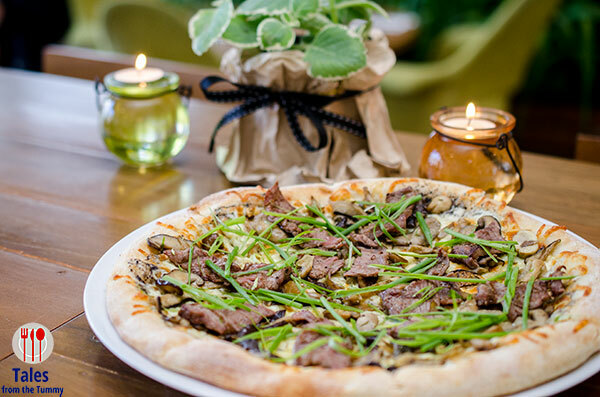 California Pizza Kitchen or CPK recently updated their menu with a number of healthy and eye catching items. They’ve been in the local dining scene for 18 years already (has it been that long) and are constantly innovating but still staying true to their California roots. I got to try all of the new dishes a month ago and here’s what I thought of them. Fruit N’ Nut Salad (P275). 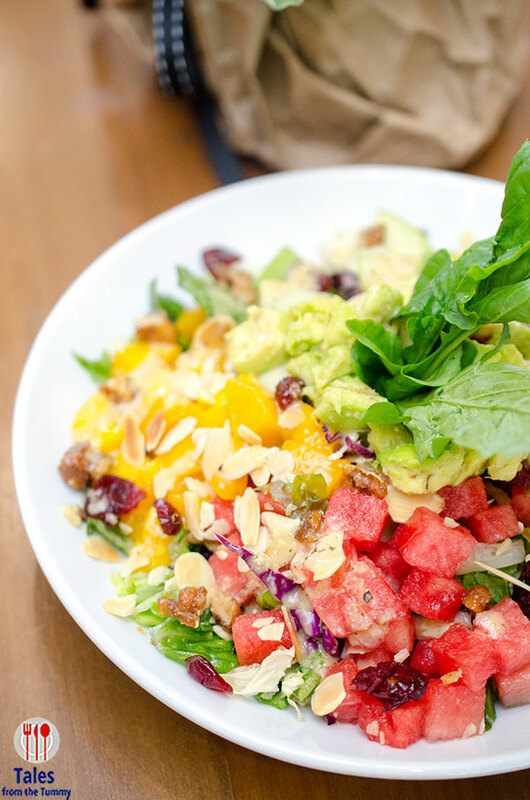 A mix of cubed fruits, assorted nuts, salad greens and avocados drizzled with an orange herb vinaigrette. 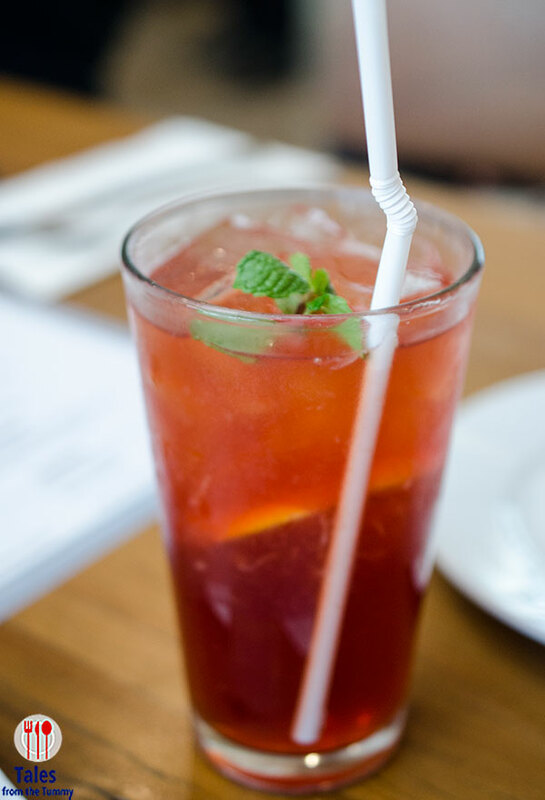 Sweet and fresh tasting with lots of different fun textures for your taste buds to enjoy. I was skeptical at first if it would work with so much fresh fruits but once you mix it all up, it just does. Mexicali Salad (P275). 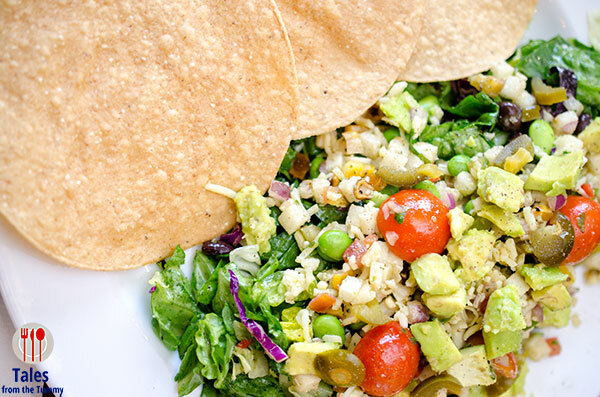 Avocados are still a prominent part of their next salad option with a distinct Mexican taste. It even comes with round crispy pitas on the side for a nice crunch or you can assemble your own open faced salad mini pizza. 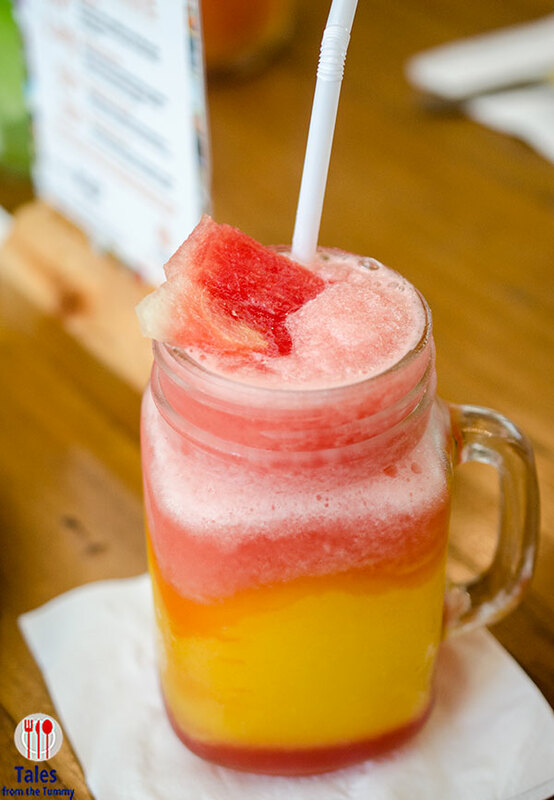 Two new lines of colorful drinks include Tazo Teamonades (P150) and Combo Shakes (P195). The teamonades are Tazo teas combined with lemonade. The combo shakes mix two different kinds of fruit shakes for a surprising flavor. 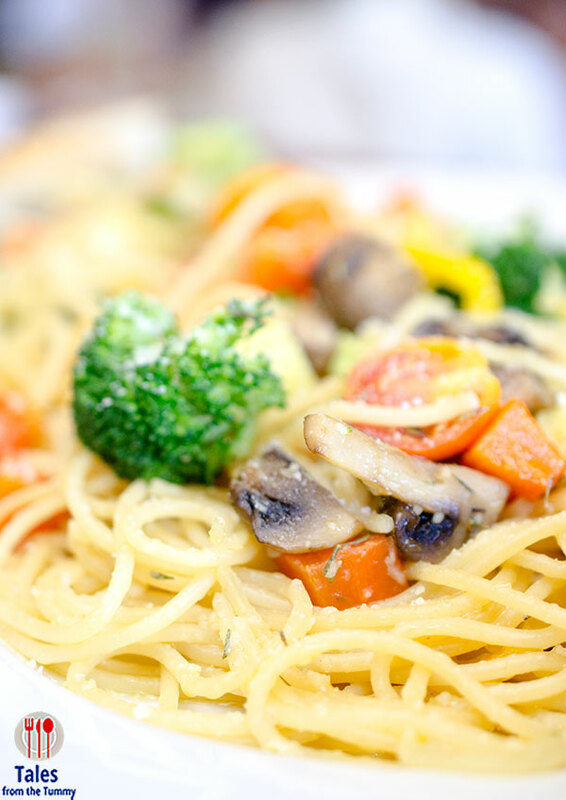 Vegetable Primavera Pasta (P275/personal, P495/sharing). 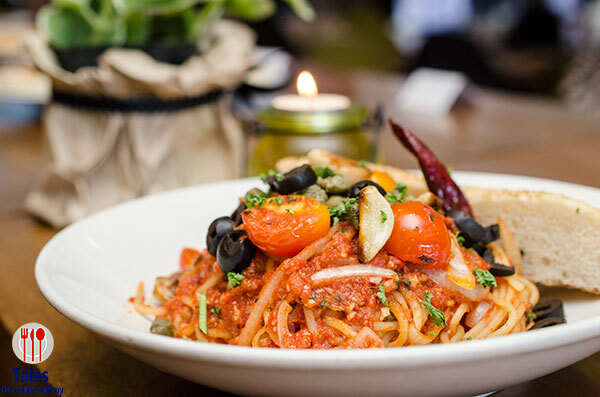 A vegetarian friendly choice with pasta tossed in sun dried tomato oil topped with a mix of different vegetables. Bright and light perfect after the excess of the holiday season. If you need a little protein, add grilled chicken breast (+P175). The other new pasta dish is the Putanesca (P295/personal). A simple pasta of capers, olives, onions,garlic and tomatoes tossed in a spicy tomato sauce. Vegetarian appropriate also. Baja Pizza (P545). 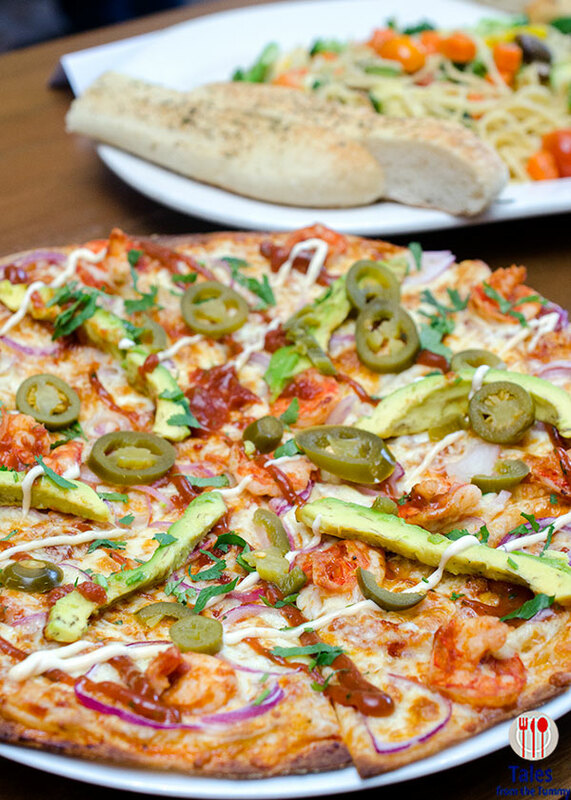 Thin crust pizza topped with avocados, shrimps and sliced jalapeno’s with a drizzle of spicy Mexican spiced tomato sauce. I tried this a week before the event and enjoyed it a lot but was too spicy for Irene. 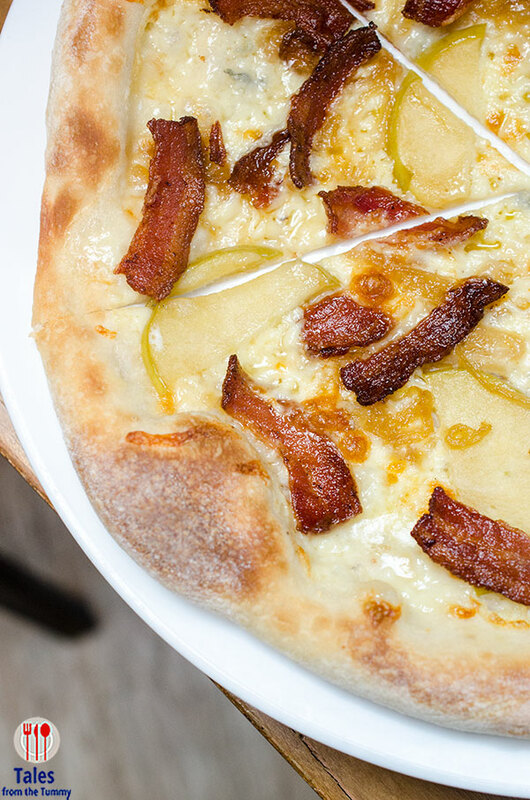 Caramelized Apple, Bacon and Gorgonzola Pizza (P225/personal, P375/regular). Many people will enjoy the sweet and salty flavors of this easy to love pizza. Steak Mushroom and Truffle (P375/personal, P695/regular). There generous amounts of sliced steak mixed with mushrooms for a hearty dish. I’m even good minus the superfluous truffle oil. Have you seen or tried these new items on CPK’s menu? There dishes look delicious! I wonder if the Caramelized Apple, Bacon and Gorgonzola Pizza tastes funny? Anyway, I’d like to try it.